Beauty was discovered working in a clothing store. Breast cancer has claimed former Miss Venezuela Eva Ekvall at the age of just 28. The late beauty was a heroine in her nation, where she was crowned at 17 and went on to be third runner-up in the Miss Universe pageant in 2001. She was a model, actress and television anchor and authored the book "Fuera de Foco," of "Out of Focus," about her struggles with cancer. The cover showed her with a shaved head. "I hate to see photos in which I come out ugly," Ekvall told El Nacional. "But you know what? 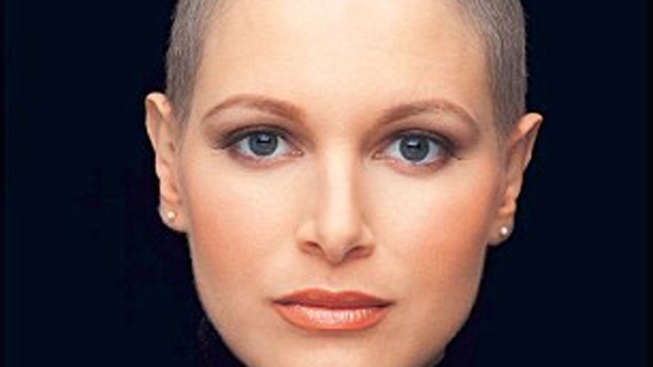 Nobody ever said cancer is pretty or that I should look like Miss Venezuela when I have cancer." Ekvall, who died in a Houston hospital, was born to a Jamaican mother and an American father of Swedish and Hungarian descent. But in a 2007 interview, she said "I feel more Venezuelan than anybody." She was discovered working in a Caracas clothing store, where a talent scout for a modeling agency spied her. "To me that was ridiculous,' she told the Guardian earlier this year. 'I thought I was overweight. I just couldn't be a model. But one day I got fired so I took a cab and went to the modeling agency. Once they saw me … they said they had the next Miss Venezuela right there." Ekvall was married and had a two-year-old daughter.